Armed forces and police personnel must under certain circumstances rely on their own equipment and manpower to extinguish fires as regular civilian fire brigades are not available or it is considered unsafe for them to approach a fire scene. Armed forces are also often responsible for fire suppression in their barracks, which usually are located a great distance away from populated areas, and where it will take some time before the fire brigade can turn up. In a war zone, the lack of civilian fire brigades or concerns about their safety means that the forces have to bring their own fire fighting equipment and must be able to use it, both for use in the field and for camp protection. 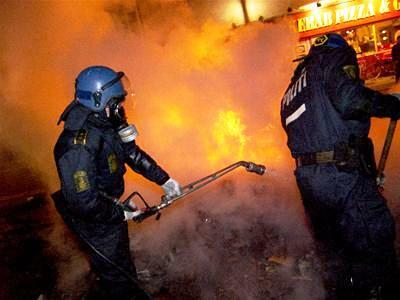 Police forces are in some countries responsible for fire fighting in violent situations, such as street riots, if it is considered unsafe for traditional fire brigades to be deployed. Traditional fire engines are not suitable in these situation as they are too large, too slow and not flexible enough for the tactical needs. Often additional rescue and protection equipment has to be brought along as well, and all the equipment has to be fitted into compact and purpose built vehicles. Firexpress is able to tailor make water tanks and integrate them with a pump driven unit so that it can be built into any vehicles that does not have capacity for a heavy duty pump and a large water tank. 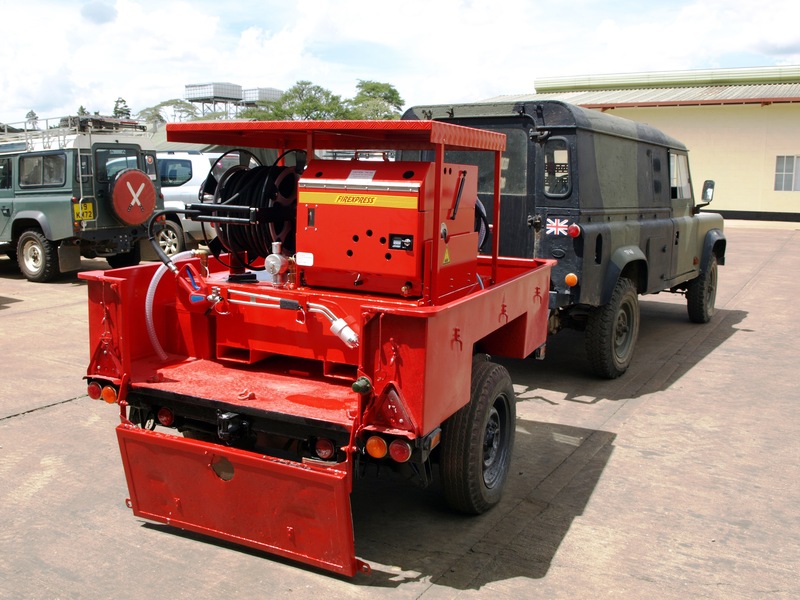 Often the diesel version of the pump driven unit is chosen so that it only is necessary to bring one type of fuel for both the vehicle and the fire fighting equipment. The mobile unit, potentially in a tailor made version with more integrated water tanks is also an option for building into purpose built light weight vehicles. Polaris, the company making the ATVs used by Firexpress, makes a number of types of vehicles particular designed for use by the military, with a number of special features for combat use. All these vehicles can be fitted with Firexpress fire fighting equipment. For urban use, there is no faster fire fighting equipment than the Firexpress fire fighting motorcycle. At a riot where the road is partly obstructed by debris it is able to manoeuvre its way to the fire scene where other types of vehicles would be obstructed by the debris. The fast entry to and exit of the fire scene add safety to the personnel. In some cases it is not possible to get to the fire scene with fire fighting vehicles. In these situations the fire fighter has to carry the fire fighting equipment to the fire scene. The Firexpress fire fighting backpack is the best ergonomically solution, and leaves the hands of the fire fighter free for other tasks. A tank unit with purpose built water tank, noise reduction compartment for the pump driven unit and a protective roof especially designed for the British Army. The Special Intervention Unit of the Danish Security and Intelligence Service has Firexpress tank units in their vehicles. Here used at youth riots in Copenhagen, Denmark.